Recent events around the world remind us all of the terrorist threat we face, which in the UK is considered as ‘SEVERE’, meaning an attack is highly likely. Police and security agencies are working tirelessly to protect the public but it is also important that communities remain vigilant and aware of how to protect themselves if the need arises. 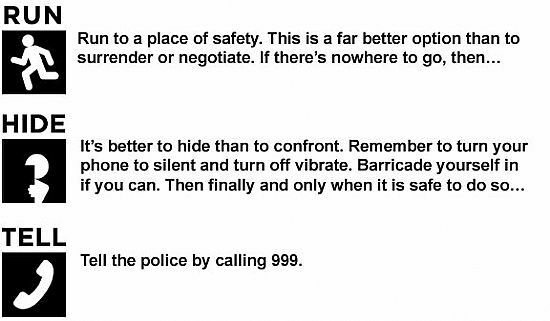 The four minute film, Stay Safe: Firearms and Weapons Attack sets out three key steps for keeping safe. The film is accompanied by an online information leaflet. These are available via the following web page: Weapon Attacks Stay Safe.